All out for #MDCBrooklyn tomorrow, February 7 at 7:00! 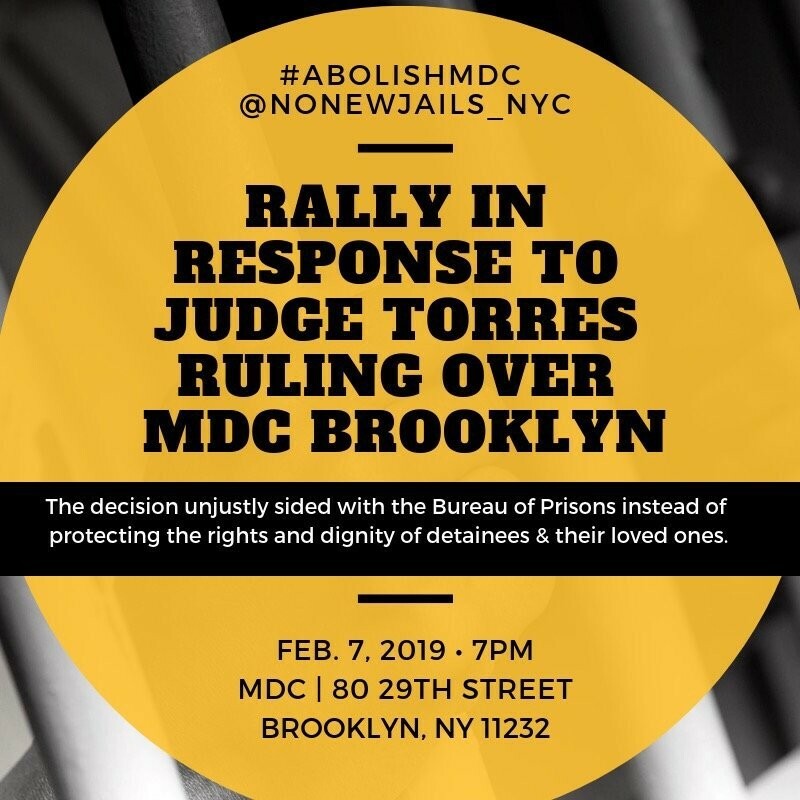 If Judge Torres refuses to protect our incarcerated community members, we're going to have to do it together... as always. We won't stop until we are sure everyone inside is safe from harm, including violent retaliation.